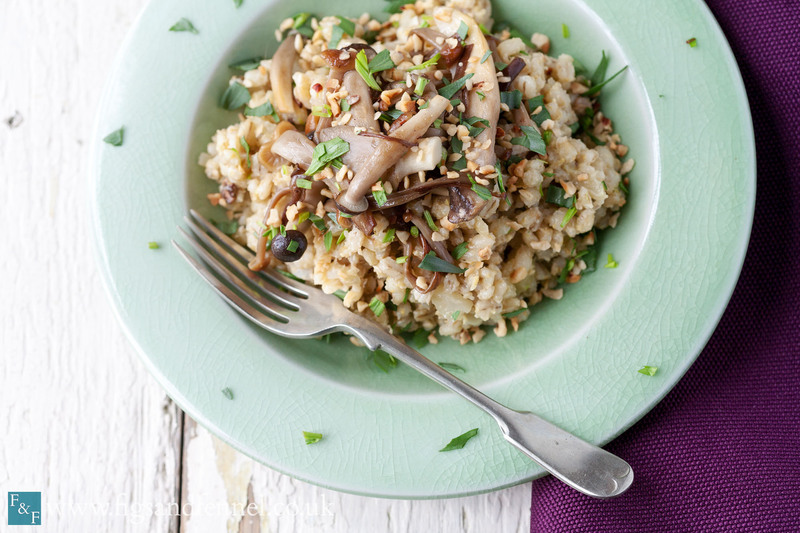 This wild mushroom and barley risotto is much lower in carbohydrate and higher in fibre in comparison to a typical rice risotto. The cooking process is the same, adding stock to the barley little by little but as legendary vegetarian food writer Rose Elliot notes, with barley risotto ‘you can be more relaxed about the stirring as the cooking goes’ (Fast, Fresh and Fabulous, p.136). So, not only is barley risotto better for you but there is a greater chance of it turning out well even when you forget to stir it as often as you should. Heat 2 tbsp of olive oil in a heavy based pan or casserole dish. Add the shallots and celery and fry on a low heat for 5 minutes. Add the pearl barley and thyme leaves and mix well so they are coated with the oil. Pour over the wine, stir and then let it bubble for a minute or two. 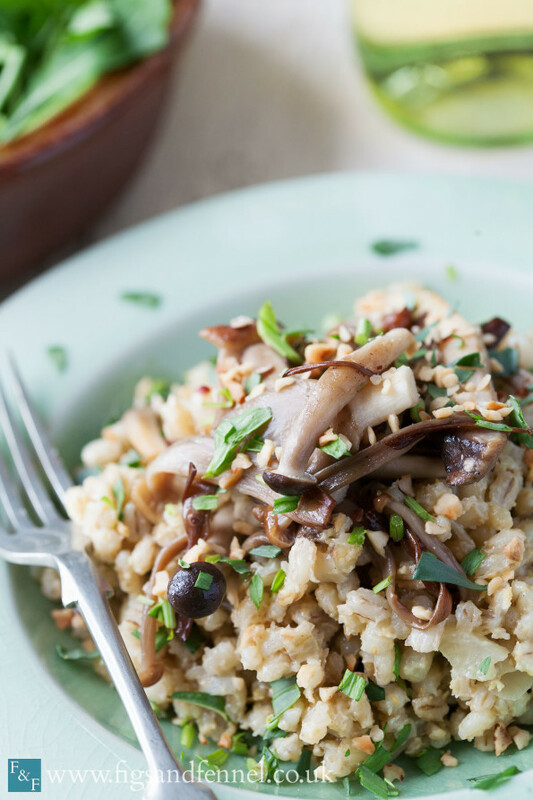 When the barley is cooked - it will be soft but still a little chewy – stir in the chopped reconstituted mushrooms, the lemon zest, the ground almond mix, and a couple of handfuls of the chopped tarragon. Add seasoning to taste and then pop on the lid to keep hot adding a splash of hot water if it starts to look dry. In a wide frying pan - you don’t want the mushrooms to be cramped - heat a tsp or so of olive oil and add the mushrooms. Keep on a medium heat for around 8 minutes, stirring regularly to prevent sticking. When the mushrooms release their juices and shrink a little whip them off the heat.